Skeletons buried deep beneath a square in London yield new information about how one of history’s deadliest plagues spread through 14th-century Britain. 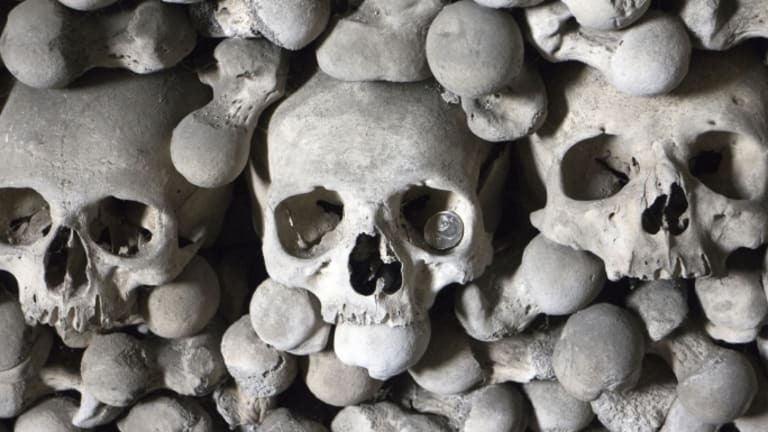 After construction workers digging tunnels for the new Crossrail train line last year discovered some 25 skeletons buried under Charterhouse Square in the Clerkenwell area of London, scientists immediately suspected they had stumbled on a plague cemetery. The square, once home to a monastery, is one of the few London areas that have remained undisturbed for hundreds of years, and the location outside the walls of medieval London coincided with historical accounts. To test this theory, scientists extracted DNA from one of the largest teeth in each of 12 skeletons. Testing showed evidence of Yersinia pestis, the bacterium that causes the plague, which confirmed that the individuals buried underneath the square had likely been exposed to—and died from—the Black Death. Currently, the plague still infects several thousand people every year around the world, though most patients recover if treated early enough with antibiotics. 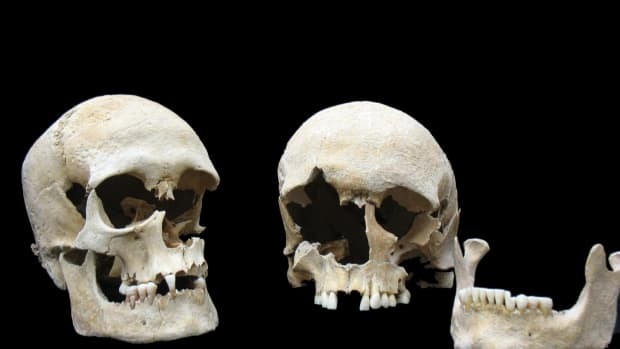 When they compared the strain of plague preserved in this medieval DNA with the strain that recently killed some 60 people in Madagascar, however, they found something surprising. The medieval strain was no stronger than the recent one; in fact, their genetic codes matched almost exactly. 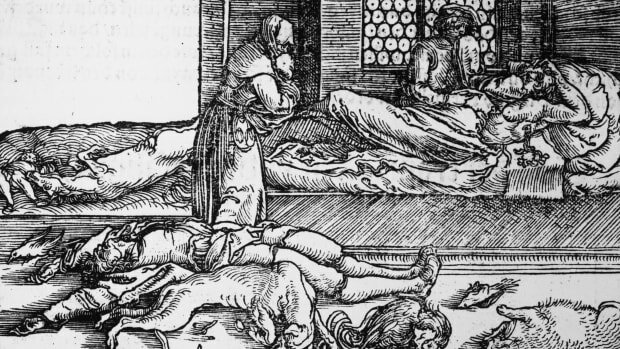 Scientists at Public Health England in Porton Down, argue that for the Black Death to have spread so quickly and killed so many victims with such devastating speed, it would have to have been airborne. 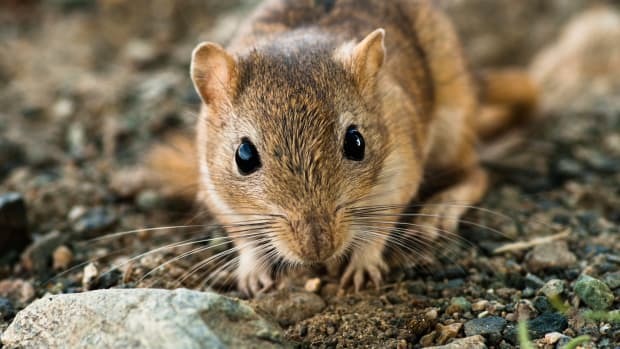 Therefore, rather than bubonic plague, which is transmitted to humans through bites from infected rat fleas, they concluded that this must have been a pneumatic plague that made its way into the lungs of the infected and spread through coughs and sneezes. Archaeological analysis of the bones found under Charterhouse Square also revealed that the individuals buried there were mostly poor people who suffered from general ill health. Rickets, anemia and tooth decay were common, as well as childhood malnutrition, which was consistent with the “Great Famine” that struck Europe some 30 years before the plague. Many of the skeletons showed back damage, suggesting lives marked by hard physical labor. Another interesting finding was that the remains in the square appeared to come from three different periods: not only from the original Black Death epidemic in 1348-1350, but from later outbreaks in 1361 and the 1430s. While the early burials at the site are orderly, including white shrouds around the skeletons, the ones from the 1430s show evidence of upper-body injuries, consistent with what appears to have been a time of increasing lawlessness and social chaos. Archaeologists planning another dig in the area this summer estimate that thousands of bodies are left to be found underneath Charterhouse Square. Can We Stop Blaming Rats for the Black Death?